The all-popular all-powerful plugin that connects any Autodesk® AutoCAD® project to Google Earth, Google or Bing Maps, OpenStreetMap or other WMS provider (e.g. USGS), all with correct alignment and scale, and all done for you! From prospective or preliminary drawings, right up to impressive presentations, Plex.Earth gives you the confidence and perspective of seeing your projects right there in the real world – in AutoCAD. Imports Google’s KML data files into AutoCAD with just 3 clicks and a mouse-drag! Powerful behind the scenes, yet with a simple interface – and rapid-response support and tutorial videos are also available! Effortlessly exports your 2D drawings or 3D models directly into their correct place, scale and orientation in Google Earth (both KML and compressed KMZ files), for impressive and persuasive presentations – even majestic fly-bys! Read the raving reviews then watch the videos below, or just scroll up now to click the blue “Download” button at the top of this page to get started today! Your free-trial has no watermarks or restrictions – you can use Plex.Earth right now! It's a great tool to use and to have. 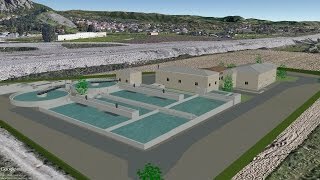 the power of this tool is to set up a high definition 3D proposal which projects a highly detailed model at once. The great feature in this app is the workflow which makes it so easy to use. PlexEarth thank you so so much for such great tool. 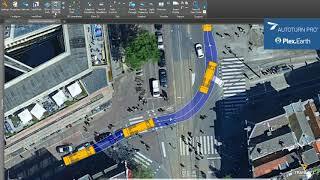 PlexEarth is the ideal solution to getting quick, yet attractive, imagery into a drawing when using civil 3D, all you need is Google Earth and PlexEarth does the rest with a few on-screen selections. I have not looked back, the days of first downloading the image and then importing into a drawing, then applying a coordinate transformation, and finally referencing the transformed drawing to overlay the image, are long gone. Our CAD Department was excited to get a Nearmap subscription for high definition aerial backgrounds for remote projects that did not have the budget to get topograpgical surveys. The process of bringing these georeferenced images into Autocad was quite invoved and included several steps. With Plex.earth 4, this is now accomplished with a few simple mouse clicks. For areas that Nearmap doesn't cover, the google earth image process is just as valuable, saving much time and generating georeferenced images that weren't available before. Like the heated seats on my new car, I don't know how I got by without Plex.earth! And.....the customer service and support is the best! Thankyou Nick Chanakoulas & Nicolas Paraskevopoulos from support team ..
V4 is very easy to navigate. I do a lot of high res mosaics...the process and downloads are very easy and fast, significantly better U/I than version 3. Definitely worth the upgrade. I find many software "updates" are painful changes from what you learned how to use. V4 here makes things much better. Well done Plex.earth team! Overall this is a really good app and the support is phenomenal. My only issue is that I can't get high resolution images from Google Earth when I do the "Image From Current View" command. Images are fuzzy, I always have to save an image directly from Google Earth Pro and import that one into AutoCAD and align it to the image Plex.Earth imported. The only support I got from Plex.Earth on the issue was to watch some YouTube video, which wasn't very useful. excelente herramienta para llevar trabajos a google earth. A great tool to my designing world, and what makes it a brilliant product is there support staff. Great product, even better customer care. Our company has been using PlexEarth for over 3 years now and have nothing but wonderful things to say about the product and the support staff. As our client demands have changed, the support team has adapted to our needs and created solutions to our problems. I am continually amazed with the response time from the PlexEarth support staff with any questions or concerns (especially Andreas Bavas). We would absolutely recommend this product to any user who is looking to generate a variety of background maps and for easy importing/zooming/exporting of information out of AutoCAD. Thanks again, you guys are great! I am a professor un Urban Proyect, and Plex.Earth has been extremely helpful in linking AutoCAD and GoogleEarth to create large aerial images and migrating CAD data as Geographic Information. I have been using this product for over a year and it is awesome ! Just renewed for a 2nd year. Great customer support and the price is a bargain. We use aerial photo images for backgrounds on allot of our drawings and Plex.Earth makes this procedure extremely easy. Highly recommend ! I've used it for several years (when Civil3D abandoned GoogleEarth functionality), and I'm very happy with it. My one complaint in previous versions was that the app couldn't read the existing projection of the DWG file, and had to be set separately, but this is no longer an issue. Great app, great customer service, and it just works. error 1001.exception occurred while initializing the instalation: system.IO.FileNotFoundException.Could not load file or assembly 'customactionautoloaderclass,version=1.0.5603.19056,culture=neutral, publickeytoken=null' or one od its dependencies.the splesified module could not be fo.... help me to solving it.. I have been using Plex.Earth for the last 2 years. I use it everyday and can't work without it! 1. It works as expected, generating KML files quickly (even without reading any tutorials.) 2. It integrates with Google Earth for easy positioning. 3. Great support and response to a customization request. Overall, I highly recommend this plugin. Great app that ties into your coordinate systems and links up with google earth! Thanks Christiaan! Our Support Team is always at your disposal to help you embed Plex.Earth efficiently at every stage of your projects' design. Added to C3D 2014 64bit, increased google earth timeouts in options 10x, operation still times out. Waste of time and bandwidth. Hi Gary. Thanks for your feedback and please accept our apologies for the bad experience you had. Even though we consider this to only be an unfortunate moment and this characterization is unfair for the quality of our product and the efforts of our whole team, we are sure that in the end you are simply looking for the best toolsets in the market to do your job efficiently. Since it was not possible to track a communication with our support team (we guarantee a reply within 12 hours for all the message received and typically respond within the first hour), we will contact you directly to resolve the problem (we can also connect through TeamViewer) and try to convince you that Plex.Earth is what you are looking for. I could identify the location of the location on Google Earth in seconds. Amazingly, the software could make the transformation of the local reference system projection in WGS 84 and then load on Google Earth. Extremely helpful, small in size, the best so far. Thanks for your kind words Cristi. You are always welcome to contact our team for your suggestions and recommendations. Why does the server crashes and no-one is informed? For the purpose I use it (Irrigation) is a very good app. what I don't like is the lack of information when the server is down. Very upset at the moment! The best for mapping and integration with Google Earth, by far. Thank you very much for your feedback! We would like to address some of the issues that have been pointed out in the messages so far, to provide users with a better understanding of the situation. it does not work with any of the google earth that you say it does. it keeps giving me error about i need an old version of google earth. Astounded! One of the best plugins ever existed! I constantly need to have aerial imagery for my work. It's a trivial task for Plex.Earth 3, with the Map Explorer, to create large mosaics from Bing Maps or USGS. So, it's definitely the most useful plugin for me. However, with the latest release, 3.2, I was really amazed. OK, I was able to export my drawings and share the KMZ file with my clients, but I was amazed when I saw the result. Everything was rendered in Google Earth exactly as in AutoCAD. In my opinion among the best 3 plugins I ever used. Does not work with most recent version of google Earth V7! This app only gives you a 14 day trial version anyways. "Bunch of CRAP"...Lots of talk, no walk...only works with older ver of Google earth? 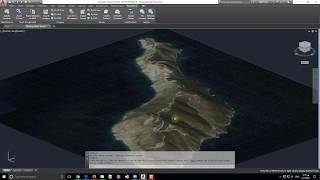 what the hell..
Great application to bring Google Earth data into AutoCAD.